As another year comes to an end, I look back and wonder, Where in the world did it go? Most of my days are just getting through the hectic morning, a busy day at work, the after-work-and-school playtime, dinnertime, bathtime and bedtime routine, and then by 9 o'clock I am making my way to bed from exhaustion. Rinse. Repeat. And repeat. And repeat. Sometimes I look at this time of our lives anxiously waiting for the next phase of our lives. That imaginary phase that hasn't happened yet. That phase where we have more money. Less financial burdens. More time with each other. Less time working outside of the house. More square footage. Less house projects. More date nights. Less of the unknown. More. Less. More. Less. We always want more or less. 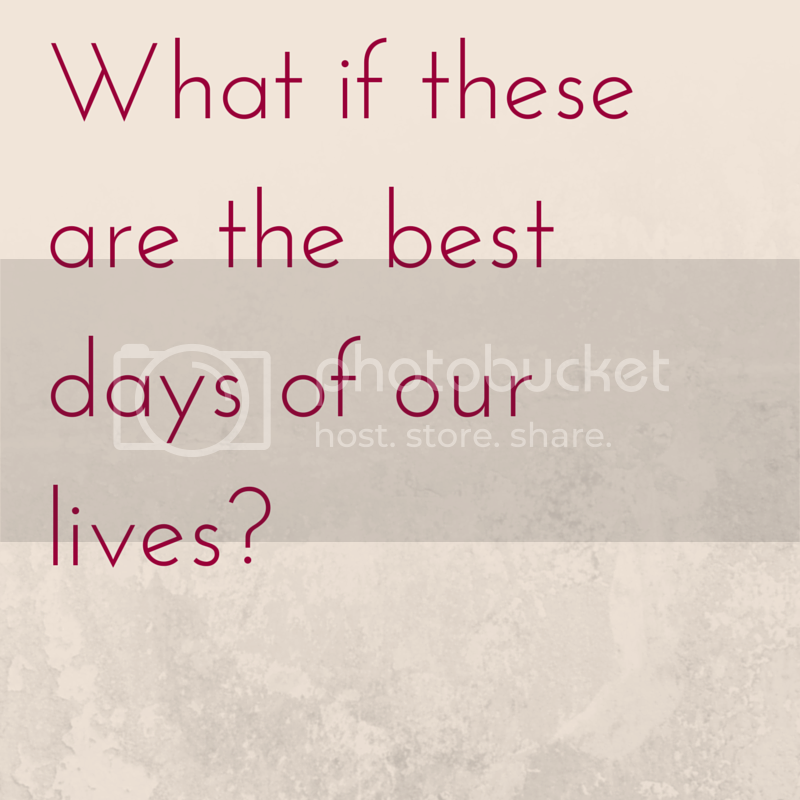 But what if these are the best days of our lives? What if one day when we're sitting in our more-than-two-bedroom house, we think, Remember when we just had that little, cozy place to take care of, yet we daydreamed together of a bigger, better house? What if one day when we have more than just Liam, we think, Remember when we spent our evenings laughing and playing and we thought we were tired then? What if one day when Chris' schooling is behind him and he starts his nursing career, we think, Remember when our time was so much more intentional because it had to be, because we didn't have every night together and we craved each other's company? What if today is the day we think about ten years from now when we look back on the best days of our lives? These tired, hard, simpler days where we feel like we're floating through in survival mode. But there are those moments around the dinner table at night when Liam is doing anything and everything to make us laugh. Those evenings where we throw everyone in the car to go somewhere, anywhere and make the most of the 5 o'clock witching hour. The weekend mornings where Liam and I sit in the living room for hours playing with every toy we come across, watching Daniel Tiger and refilling my coffee mug over and over. The nights where Chris is home to give him a bath and I can catch up on laundry just outside the door so that I have one less thing to worry about. The evenings where we can both collapse on the couch and just be because our toddler is sleeping soundly upstairs and for 12 whole hours, we aren't quite needed as much. These just might be the days. And I don't want to miss that.